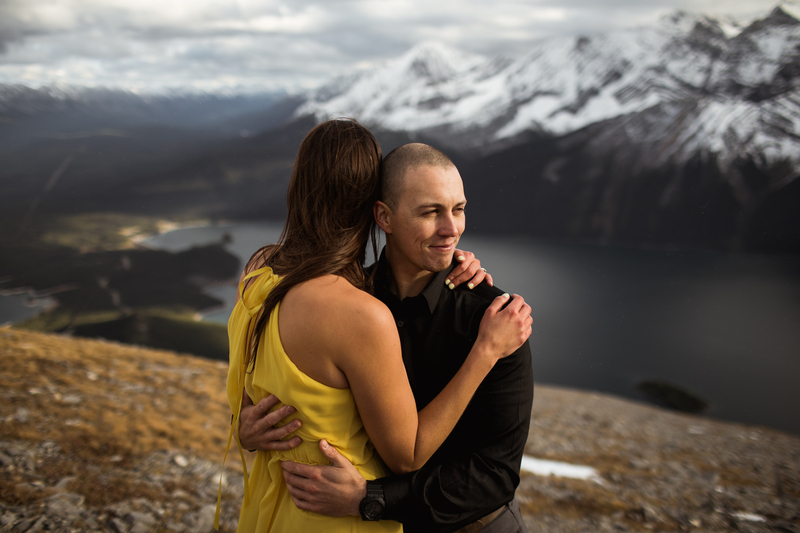 When we met with Tia and Alex to discuss photographing their wedding we found an instant connection in how much we loved hiking and exploring the mountains. 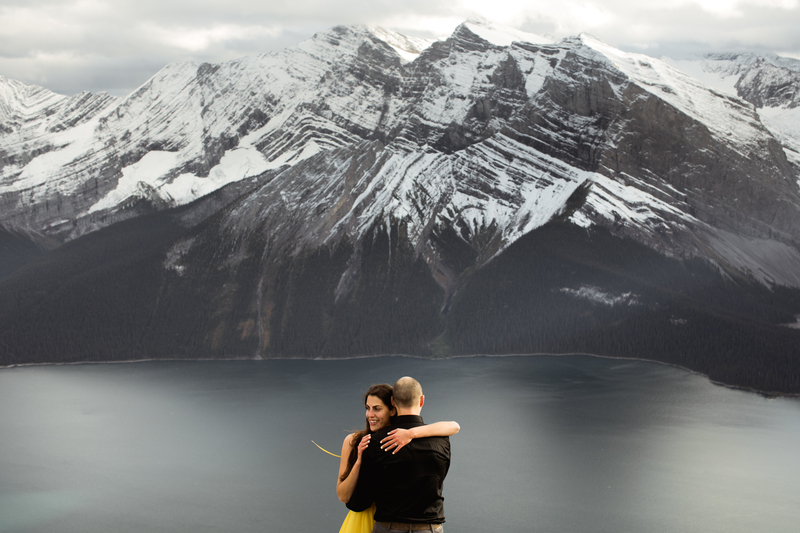 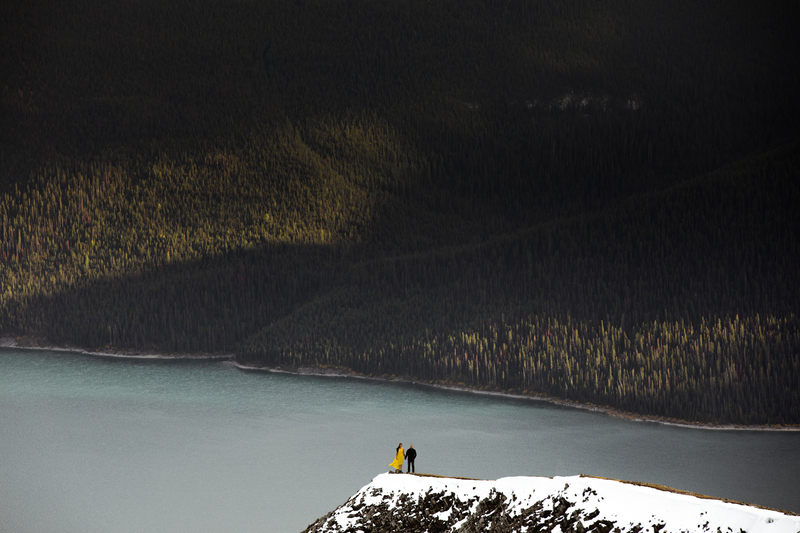 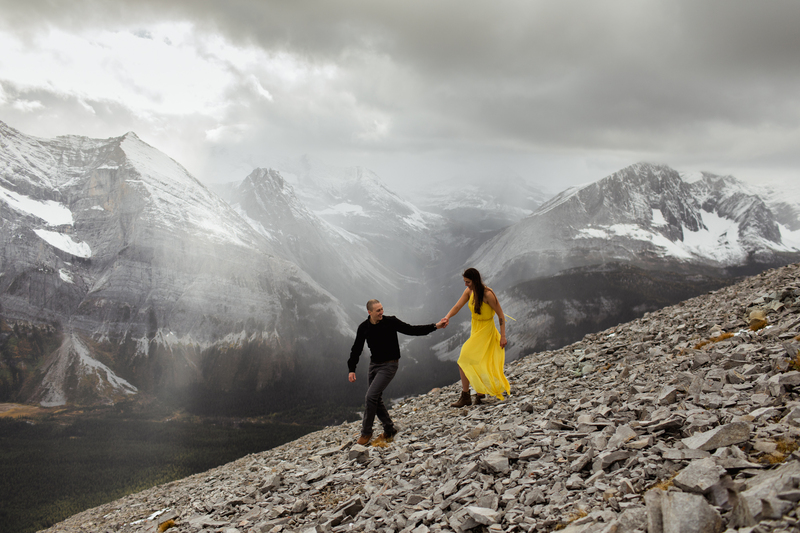 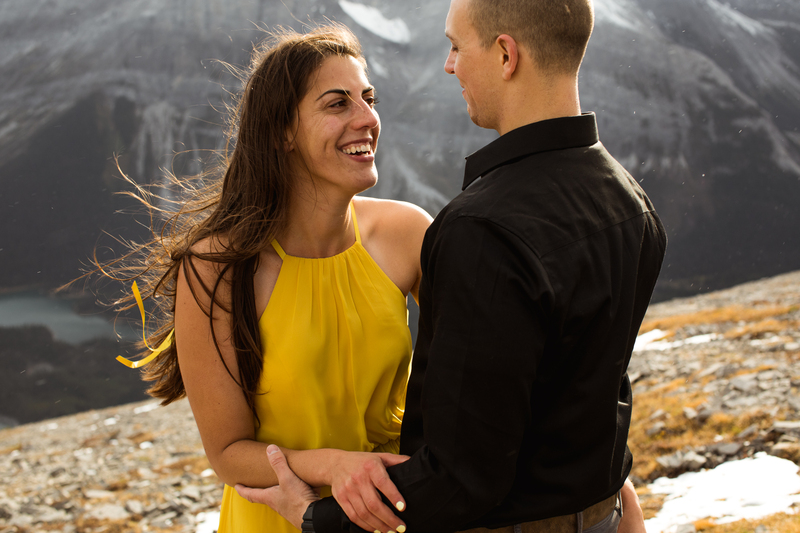 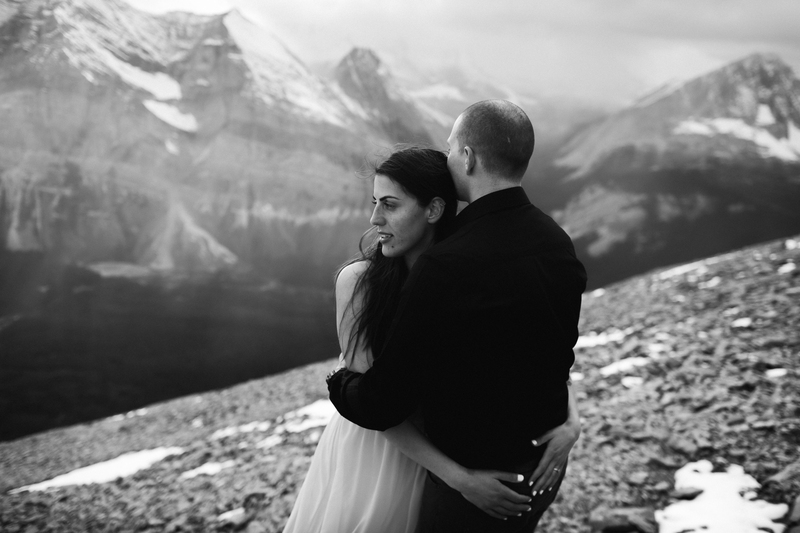 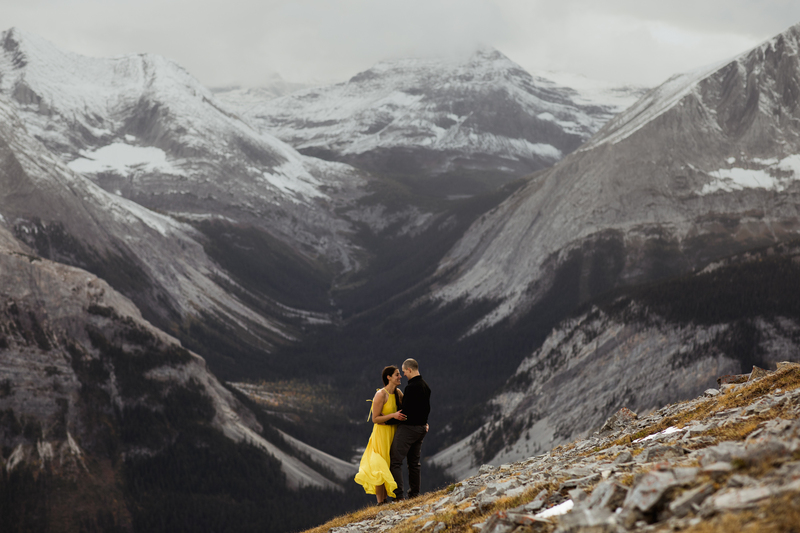 Over the summer we were chatting about shooting their Kananaskis engagement and both agreed that we should get some elevation and go for an afternoon hike. 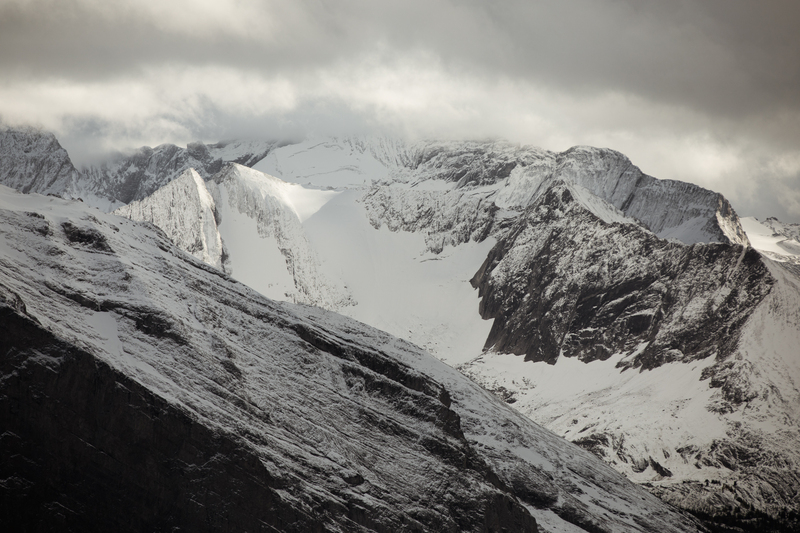 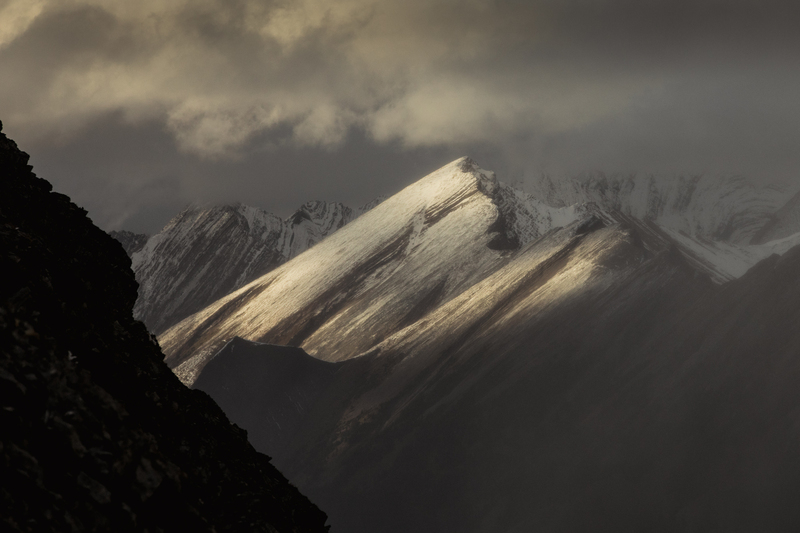 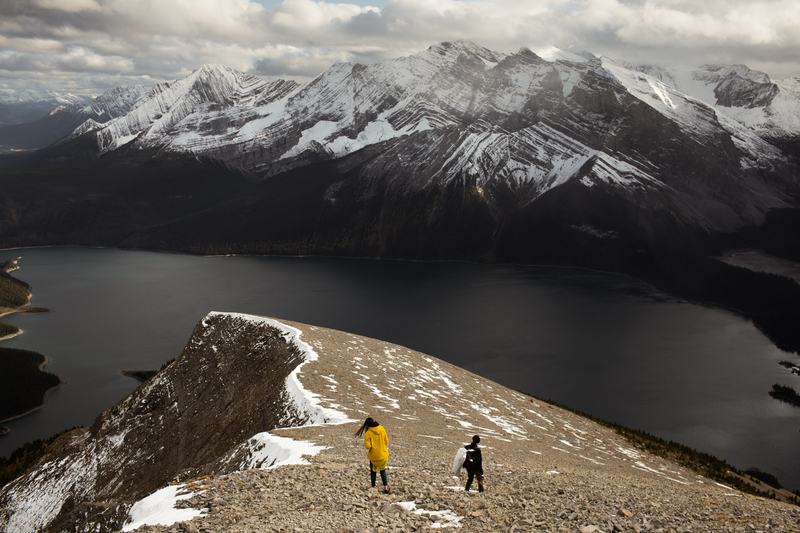 We showed them a viewpoint we had found with the possibility of continuing to the peak if they were up for it. 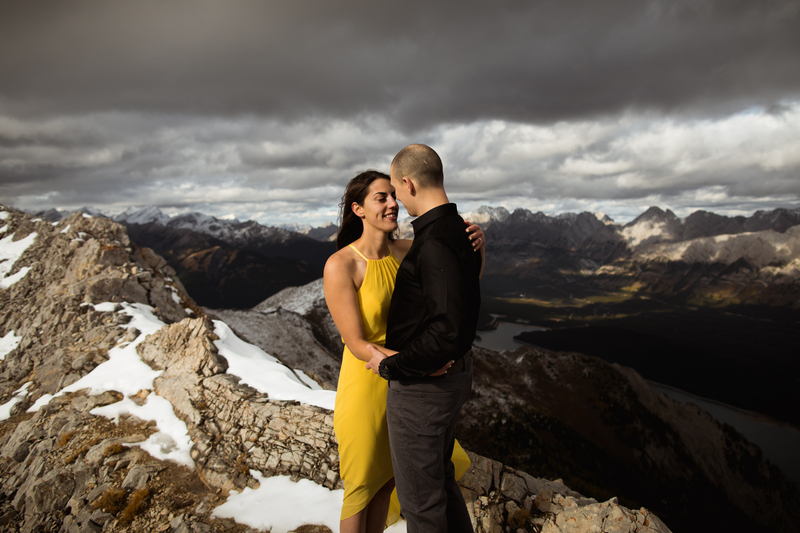 There was a good chance that when we got up there it would be too windy and cold to change and take photos but the conditions could not have been more perfect for this time of year. 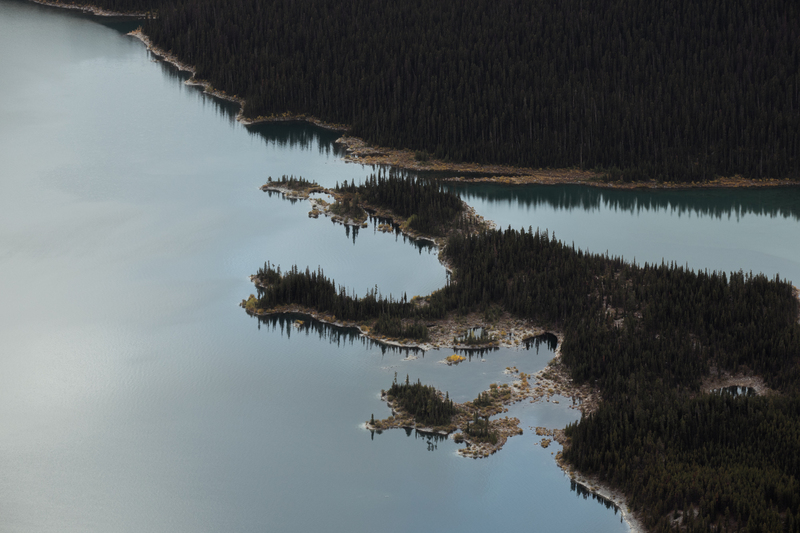 So up we went, watching the lakes below us get further away and the peaks in the distance reveal themselves as we hiked above the tree line. 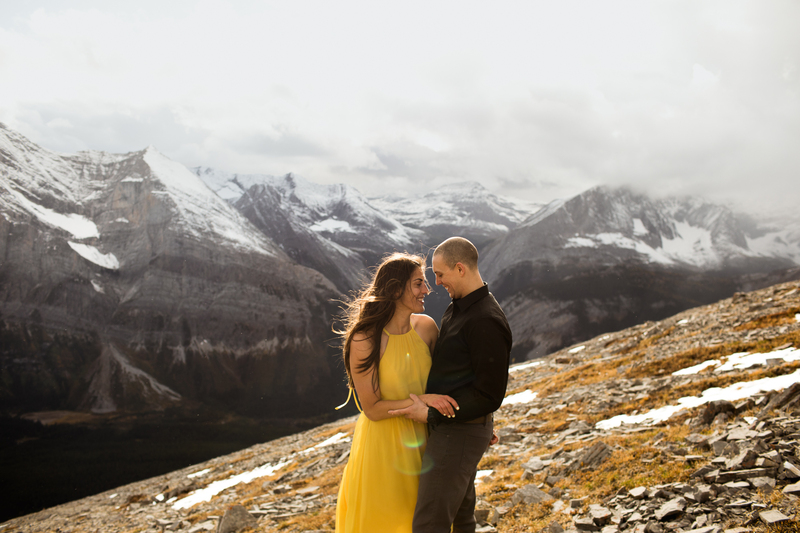 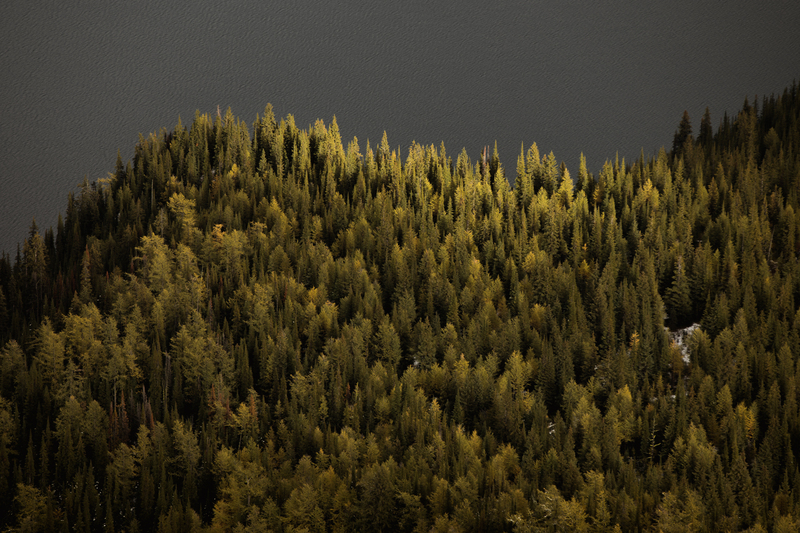 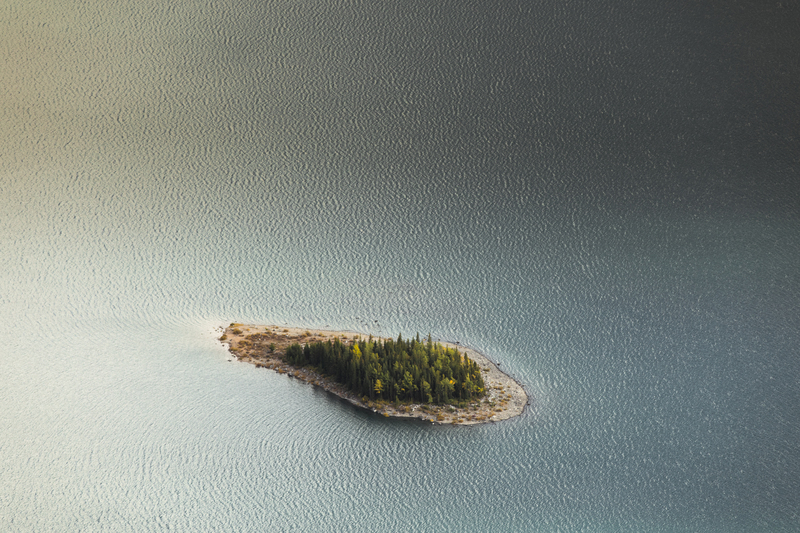 We swapped stories of our favourite hikes we had done in the area and all the animal encounters we had come across, which definitely didn’t help our nerves as we were also warned of many grizzly bears in the area. 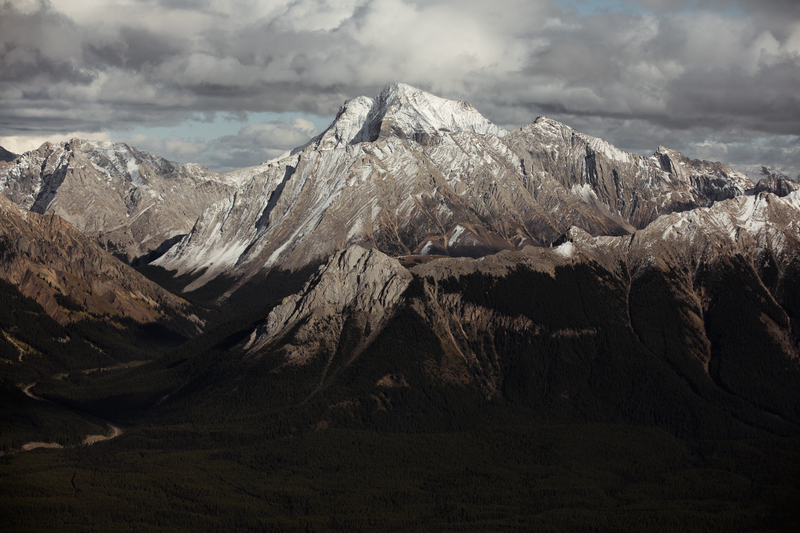 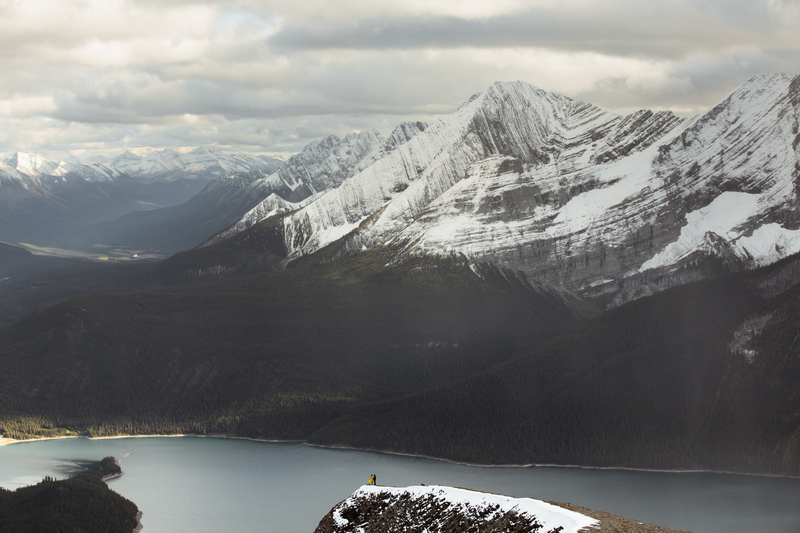 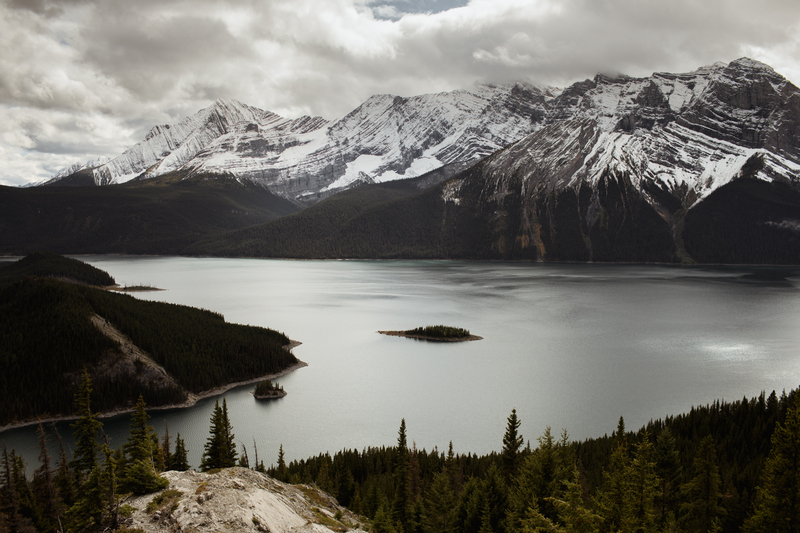 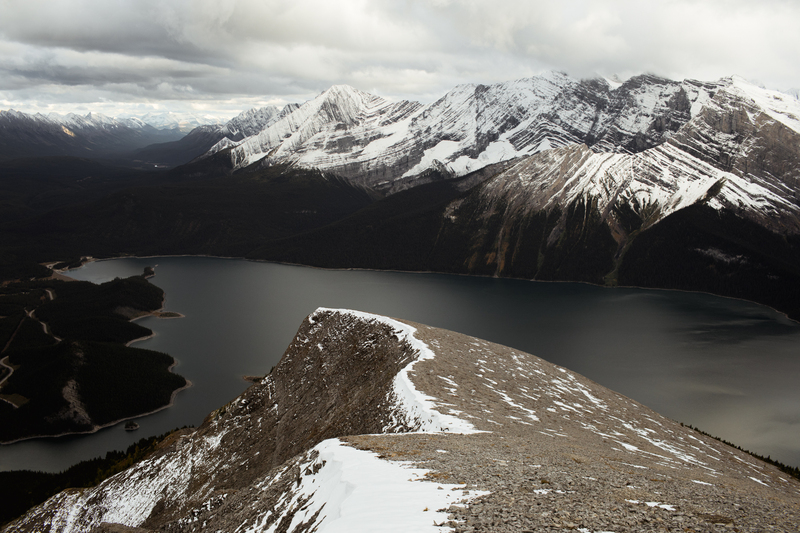 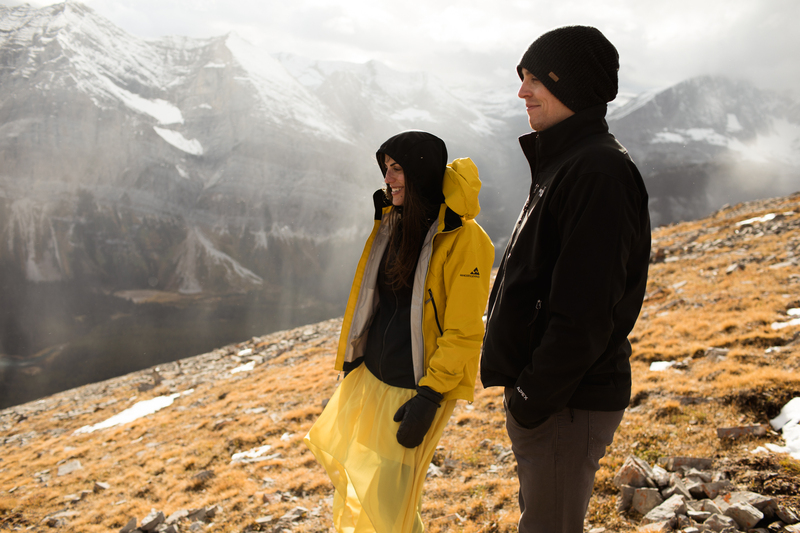 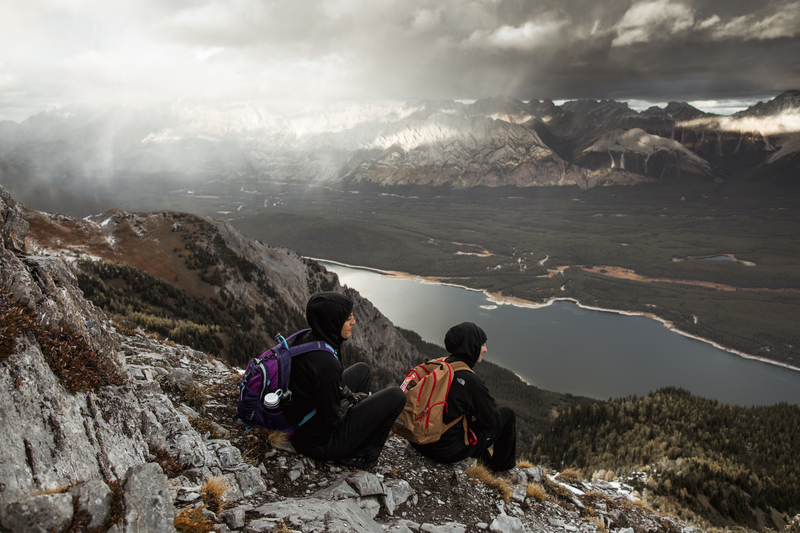 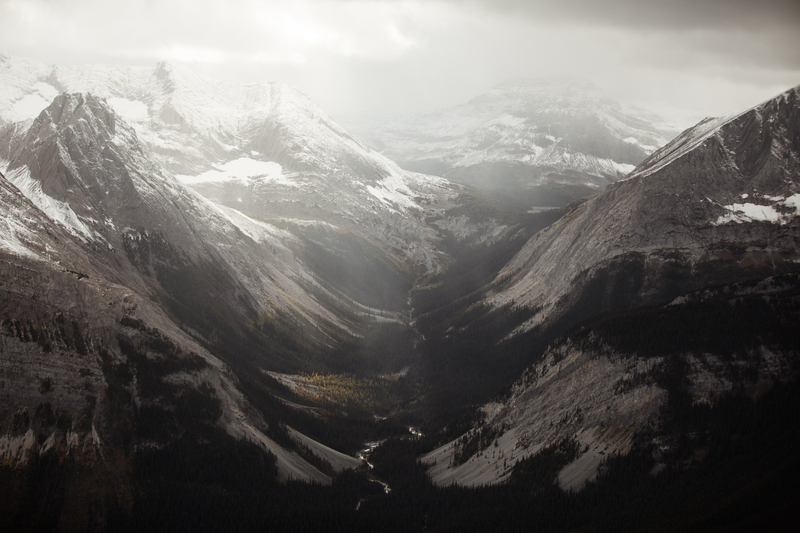 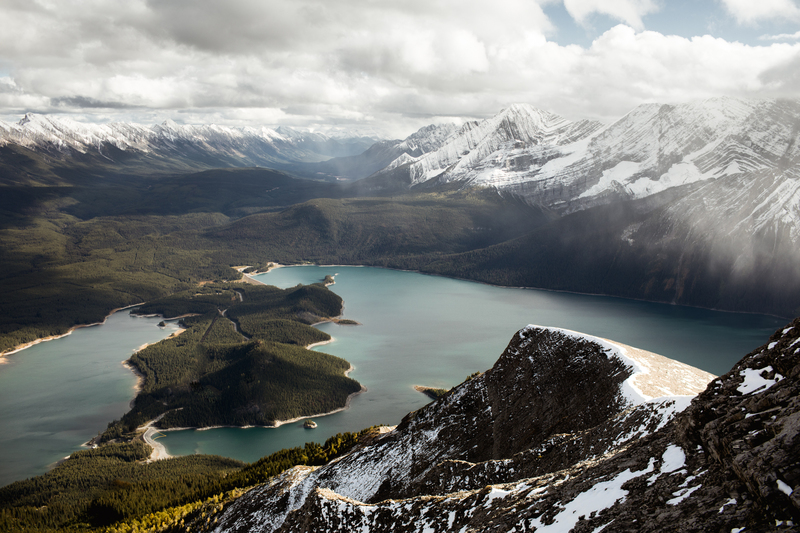 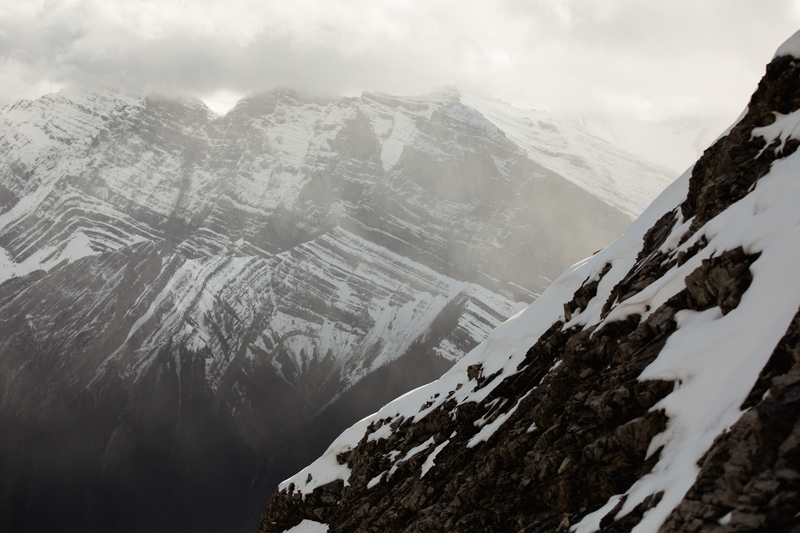 When we got to the top we took some time to enjoy the 360-degree view of the Kananaskis Valley which never disappoints. 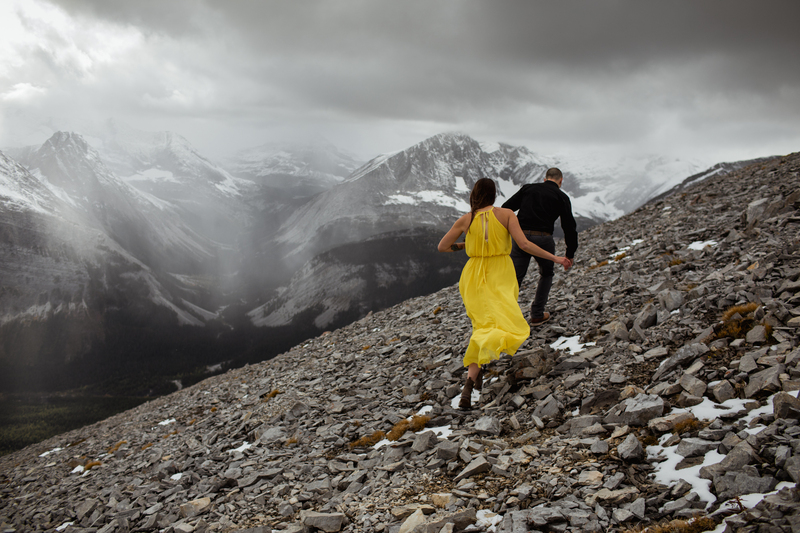 After a quick snack on the peak, Tia pulled out her yellow dress and we found some amazing locations for their photos. 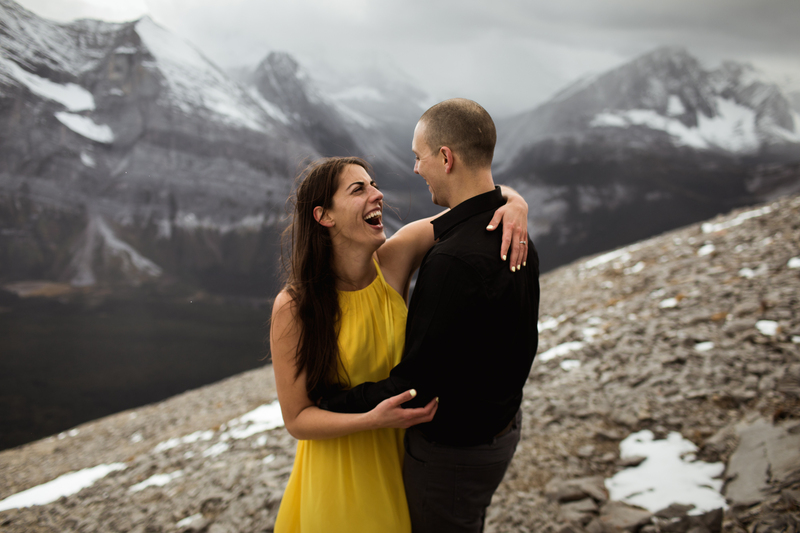 Beyond all the impressive views and the perfect weather, my favourite part of the day was getting to hang out with Tia and Alex. 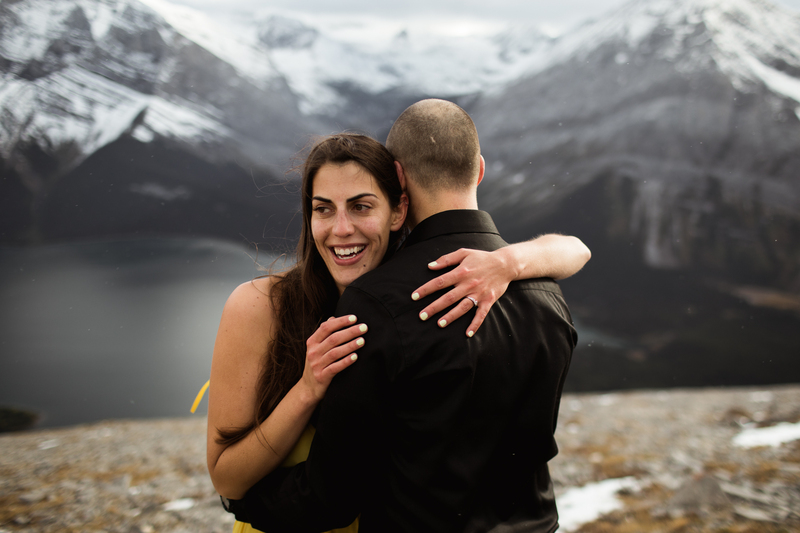 They were the kindest, most open people and we feel so happy that we got to have spent the day getting to know them and experience this hike with them.